Stepping into the increasingly wild saga that has been Broadcom’s efforts to purchase Qualcomm, the US government is now weighing in by issuing a new order to block the merger of the two companies. 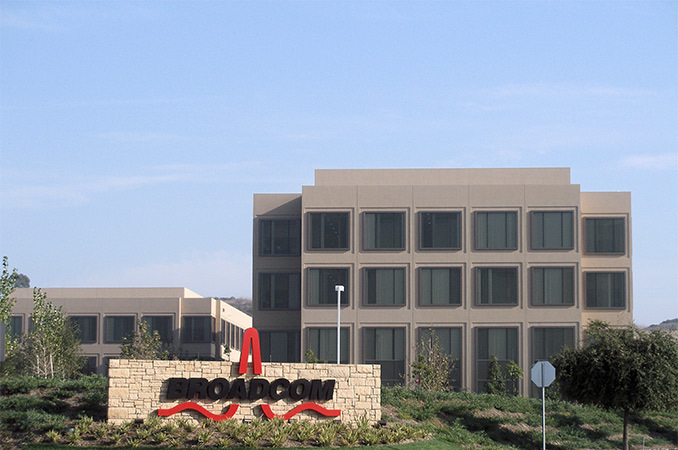 Citing national security concerns with the Singapore-based Broadcom acquiring the US-based Qualcomm, President Trump issued an order under the Defense Production Act of 1950 to prohibit the proposed acquisition or any similar transaction, effectively ending Broadcom’s acquisition efforts. As a result of the presidential order, Broadcom’s purchase efforts are on hold for the time being, if not forever. The order requires the two companies to immediately stop any and all merger activity, and to unwind any efforts they’ve taken thus far, reporting to the CFIUS on their progress. Furthermore the candidates that Broadcom was running for Qualcomm’s board of directors are barred from participating in that election, and Qualcomm cannot accept their nominations. The President's order does not go into detail about the national security concerns he and the CFIUS have with the potential deal. But the Washington Post, citing a letter from the CFIUS sent to the companies’ attorneys sent over the weekend, notes that “it was concerned research and development at Qualcomm might atrophy under Broadcom's direction” and that Qualcomm rivals such as Huawei “might become much more dominant around the world” as a result. As the framework blocking the acquisition is a presidential order, it cannot be appealed and this block is seemingly permanent. However as Broadcom has already been going through great lengths to acquire the company, including planning to redomicile to the US so that the acquisition was no longer a foreign deal, it might yet prove too early to rule them out entirely. Update 3/14: Broadcom has formally ended its efforts to acquire Qualcomm, noting that the offer has been "withdrawn and terminated." Interestingly however, the company still intends to go ahead with their redomiciliation plans, which were originally only undertaken in order to improve the chances of the buyout being approved. So let me get this. US prints worthless toilet paper (USG bonds), uses them as payments for all the high-tech stuff that China builds for them (whilst exporting 25% Of their own carbon emissions and energy usage). Then, when a Singaporean company (you know, a different country) from a free market, is trying to buy an American company, the master puppet uses national security as a scapegoat to protect US interests against Chinese spying. Somehow I didn't properly graduate the course on psychedelic-psychotic logic it seems. That scheme of buying US dollar denominated assets, mostly T bills, was something the Japanese invented in the 80's and it's been copied by China and Singapore. Now the US does pretty well out of this scheme it's true. It can run a budget deficit because the T bills are government debt. It can run a trade deficit because it has a current account cash surplus. On the other hand Singapore does pretty well too - it can run a trade surplus with the US. China, Japan, Taiwan all do this. News of the year ! Was worried that Broadcom/AVGO would instantly sell the crucial assets and sell off the patents and discard the licensing business by selling and finish that massive debt of $100+Bn. Glad that It had happened, US finally got hold of how CN is leading in the Semi industry, look at TSMC's recent projects and they build the A series chips, Nvidia chips on 12nm FFN and 3nm is in their pipeline while GoFlo (Arab corp owned) is bleeding due to EUV investment, Samsung's dominance over Intel (NA corp), only other player left for NA is WD+SanDisk and Toshiba's fab, along with Xilinx. Also Intel's mulling over the Broalcomm was too dangerous. So is the new Chinese Huawei's dominance in tech communication sector. They followed Apple on blasting Qcom, because they had the leverage from MOFCOM for the NXP deal & Apple has $900Bn marketcap over these puny companies, Intel has $244Bn, Qcom+AVGO will have more than that. Also yesterday's Xi of CN's PRC voted for indefinite term for presidency that's far far like Mao's era. CN is a danger, the totalitarianism had to be put in check, with the 10% advantage of 5G essential Patents from Huawei (no IP infringement on CN grounds will ever be favorable for the rest of the world companies so no one challenges them, look how Apple bends to their will, the latest iCloud data was given to the CN's GCBD and the VPN ban. Tim Cook fleecing their customers) their dominance would have hindered one of the greatest American jewel of innovation. Apple is the highest beneficiary if this deal went through because Broadcom has strong ties with Apple and the IP business going down will allow them to buy massive tech and undermine the competition. Centriq ARM processor division would have died immediately and instantly and for Android userbase the SoC's prized Adreno, X50 advancements, CAF would have been diluted. Similar to the Broadcom's & LSI's divisions being cut off I know that Qcom is involved in predatory practices but the Apple's one was far far more dangerous. Read about the Infineon deal and Wimax on the iPhone 2G with Qualcomm's forced STP involvement (the price that Apple should pay was clear than ever, because Qcom invented and paved way for the CDMA LTE that Verizon and Sprint use along with 18 Month lead in this sector, Intel XMM 8k series now started to begin thus Apple attacked Qcom, not new to Apple considering the poaching and abandonment of the Imagination Tech, GTAdvanced and Dialog Semi. Apple always sneaks off silently perhaps due to their sheer performance in stocks, that Berkshire Hathaway's Mr. Warren is now a BOD). Broadcom's M&A business model would instantly make a massive hole in the R&D role that Qualcomm plays and reaps benefits. After Broadcom and Brocade's loss this was going to be huge to AVGO. Really glad that happened. Nov 2017 to March 2018. the bloody battle ends now, of course the toll was Mr. Paul Jacobs stepping down from his own company which is father Irwin Jacobs founded. I know there are a lot of reader's that hate Intel here, but I believe the best thing that could happen to this industry is for Intel to purchase QUALCOMM. This would eliminate the possibility of a foreign company especially in China purchasing QUALCOMM which would be extremely bad for the telecommunications. This would also solved any of possible legal issues between Microsoft/QUALCOMM and Intel over the emulation in Microsoft Windows 10 for ARM (QUALCOMM) Plus look at benefits that this would bring to that system. Intel could update the compatibility of these system 10 fold with actual core logic. This sound like Intel Hater comment and not a realistic. In reality AMD is much lesser competitor of Intel than Qualcomm. Oddly for emulation modes Qualcomm is barely a competitor to Intel's Atom - unless you are planning on using Windows 10 S mode Qualcomm tablets - it not a real factor in the Windows 10 low power/Ultrabook space.